I believe that true health encompasses an energy and vitality for life that is so much more than just the absence of disease! I'm passionate about the process of transformation and am dedicated to helping people finally find freedom around food. I'm glad that you’ve chosen to do a little research. Although all nutrition practitioners in Canada must abide by the Health Professions Act, we are a self-regulated industry, which means we’ll have varying levels of education. It’s important to be comfortable with your practitioner's level of education as well as their personal style. 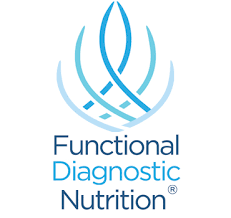 Feel free to spend some time here to understand who I am, what I do, and how I work - and, please, take your first step towards your own health goals by booking your free nutritional assessment. I look forward to opportunity to help you achieve your goals! Lynne is one of the few Whole 30 Certified coaches in Canada.